Nationality: Mexican. Born: In Hondo, Coahuila, 26 March 1904. Also known as "El Indio." Family: Married 1) Gladys Fernández, 1941 (divorced), one daughter; 2) actress Columbia Domínguez (divorced), one daughter; 3) Gloria Cabiedes (divorced), one son; 4) Beatriz (divorced). Career: Took part in the rebellion of Adolfo de la Huerta against the Mexican government, captured and sentenced to prison, but escaped to United States, 1923; actor in California, returned to Mexico following amnesty, 1934; directed first film, 1941; served six months of four–and–one–half–year sentence for manslaughter, 1976. Awards: Best Film, Cannes Festival, for María Candelaria , 1946. Died: In Mexico City, 6 August 1986. En su propio espejo (Entrevista con Emilio "El Indio" Fernández) , edited by Julia Tuñon, Mexico City, 1988. "After the Revolution," in Films and Filming (London), June 1963. Interview in The Mexican Cinema: Interviews with 13 Directors , by Beatriz Reyes Navares, Albuquerque, New Mexico, 1976. Riera, Emilio García, Historia documental del cine mexicano , vols. 1–9, Mexico City, 1969. Blanco, Jorge Ayala, La aventura del cine mexicano , Mexico City, 1979. Mora, Carl, Mexican Cinema: Reflections of a Society, 1896–1980 , Berkeley, 1982.
de Luna, Andrés, La batalla y su sombra (La revolución en el cine mexicano) , Mexico City, 1984. Blanco, Jorge Ayala, La condición del cine mexicano , Mexico City, 1986. Fernández, Adela, El Indio Fernández: Vida y mito , Mexico City, 1986. 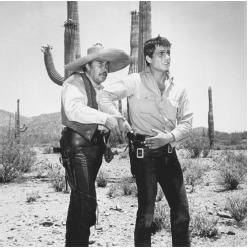 Taibo, Paco Ignacio, El Indio Fernández: El cine por mis pistolas , Mexico City, 1986.
de los Reyes, Aurelio, Medio Siglo de cine mexicano (1896–1947) , Mexico City, 1987. "El Indio," in Time (New York), 11 November 1946. Ellis, K., "Stranger than Fiction: Emilio Fernandez' Mexico," in Journal of Popular Film (Washington, D.C.), Spring 1982. Cuel, F., and J.P. Royer, "Emilio Fernandez," in Cinématographe (Paris), April 1982. Tesson, C., "Portrait d'Emilio Fernandez en metteur en scène," in Cahiers du Cinéma (Paris), May 1982. Mraz, John, "Of Churros and Charros ," in Jump Cut (Berkeley), no. 29, 1984. Obituaries in Hollywood Reporter , 8 and 19 August 1986. Obituary in Variety (New York), 13 August 1986. Obituary in Revue du Cinema , no. 420, October 1986. Dávalos, Federico, "Por México: La leyenda del Indio Fernández," in Pantalla (Mexico City), November 1986. Vertrova, T., "Pamjati Emilio Fernandesa," in Iskusstvo Kino (Moscow), no. 2, February 1987. Rozado, Alejandro, "Lo trágico en el cine de Emilio Fernández," in Dicine (Mexico City), November 1987. If he did not already exist, it would be necessary to invent Emilio "El Indio" Fernández. His manneristic visual style, his folkloric themes and characters, and his distinctively Indian physiognomy made him an integral element of Mexico's culture of nationalism, as well as the nation's best-known director. Fleeing Mexico after the defeat of his faction in the rebellion of 1923, Fernández ended up digging ditches in Hollywood. As has been the case with so many Latin American artists and intellectuals, Fernández discovered his fatherland by leaving it: "I understood that it was possible to create a Mexican cinema, with our own actors and our own stories. . . . From then on the cinema became a passion with me, and I began to dream of Mexican films." Making Mexican cinema became Fernández's obsession and, as is so often true of cultural nationalism, a short-term gain was to turn into a long-term dead end. Perhaps that which most distinguishes Fernández's films is their strikingly beautiful visual style. Fernández and Gabriel Figueroa, the cinematographer, created the classical visual form of Mexican cinema. Ironically, their expressive cinematic patriotism was significantly inspired by foreign models—the most important of which was that of Sergei Eisenstein and his cameraman Eduard Tisse. Fernández evidently saw Qué Viva Mexico! in Hollywood, and he later played the lead in Janitzio , a film influenced by Eisenstein and the documentaries of Robert Flaherty and Willard Van Dyke. He even went on to "re-make" Qué Viva Mexico! twice with Maria Candelaria and Maclovia. Another important antecedent was Paul Strand's photography in Los Redes , which must itself have reflected Eisenstein's examples as well as Strand's experiences in the Film and Photo League. Foreign models were prominent at a formal level, but nationalism was presumably communicated in the content of the visual images. The films of Fernández and Figueroa are a celebration of Mexico's natural beauty: stony Indian faces set off by dark rebozos and white shirts, charros and their stallions riding through majestic cactus formations, fishermen and their nets reflected in the swirling ocean tides, flower vendors in Xochimilco's canals moving past long lines of tall poplar trees; and over it all, the monumentally statuesque masses of rolling clouds made impossibly luminous by photographic filters. In the earlier films, the incredible beauty of the visual structures functioned as a protagonist, providing context for the story and resonating with the characters' emotions. However, Fernández and Figueroa apparently became victims of their own myths, for their later films manifest a coldness and immobility which indicate an emphasis on visual form at the expense of other cinematic concerns. The dangers inherent in their "tourist" images of Mexico were ever-present, of course; but they became increasingly obvious with the petrification of the style. Fernández's stories have been summed up by Carlos Monsivais, a leading Mexican critic, as "monothematic tragedies: the couple is destroyed by the fate of social incomprehension, Nature is the essence of the Motherland, beauty survives crime, those who sacrifice themselves for others understand the world." One is tempted to add: the Indian is a cretin, the charro a blustering macho , women are long-suffering and self-denying saints—and the revolution a confused tangle of meaningless atrocities. Fernández's picturesque myths still retain vigor in the statist nationalism which dominates ideological discourse in Mexico. And, judging from the international attention that Fernández received for his early works, they were evidently also what the world expected from Mexican cinema. The pity is that Emilio "El Indio" Fernández did not demand a little more from himself.